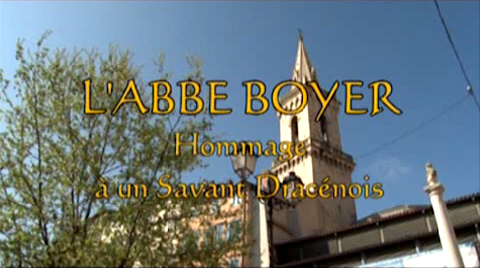 The Laboratory for Conservation, Restoration and Research was established in January 1964 on the initiative of the Abbé Raymond Boyer, who was assisted by a small group of friends and heritage lovers, including Yves Fattori and Joëlle Rivier (-> watch the video “The Abbé Boyer, Tribute to a Dracénois scientist).The Abbé Boyer was a colleague and fellow student of many eminent French archaeologists, particularly Paul-Albert Fevrier and Gabrielle Bonnot Demians D’Archimbaud. Fevrier was among those who participated in the excavation of ‘Le Quartier de la Bourse’ in Marseille, while Bonnot Demians D’Archimbaud directed excavations at Rougiers (Var). Enormous quantities of material and objects were revealed at both sites; Boyer and Fattori took the decision to undergo training, first at the Laboratoire d’Archéologie des Métaux in Nancy, alongside Edouard Salin and Albert France-Lanord, and then at the Musée Romain Germanique de Mayence. Upon their return they created one of the first laboratories that treated metals, together with those at Nancy and the Musée des Antiquitiés Nationales. At the time Draguignan was the préfecture du Var and the head quarters of the Conseil général. The laboratory is a result of the 1901 Association “Centre Archéologique du Var”, and has benefited from the support of the CNRS from its creation to the present day; Raymond Boyer was a researcher for the CNRS. Initially it was scientifically associated with the Université d’Aix en Provence (Centre Camille Jullian), and then with theCentre de Recherches Archéologiques (which became the Centre d’Études Préhistoriques, Antiques et Médiévales). Until 2002, the laboratory benefitted from the presence of CNRS employees, most notably William Mourey, who directed the organisation between 1998-2002. Consequently Mourey, the president of CEPAM, automatically became head of scientific advice for the laboratory. Today, Roland May, the director of the Centre Inter-régional de Conservationet Restauration du Patrimoine, acts as chairman of the scientific advisory board. In June 2009 the Assemblée Générale du Centre Archéologique du Var took the decision to separate the LC2R from CAV, and the laboratory continues to operate independently yet under cooperative status (Société Coopérative de Production). The laboratory works broadly, as much for the government as associations or private individuals.